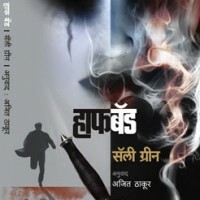 Last Updated on May 18, 2015.
www.saraswatibooks.com (“Website“) is an Internet based portal owned and operated by SARASWATI PUBLISHING COMPANY PRIVATE LIMITED (SPCPL), a company incorporated under the laws of India, with its registered office at 1217/2, ‘A’Ward, Shivaji Peth, Kolhapur – 416012 Maharashtra India and having ID 17910 (1) E. Use of the Website is offered to You conditioned on acceptance of all the terms, conditions and notices contained in these Terms, along with any amendments made by SPCPL at its sole discretion and posted on the Website. SPCPL agrees to deliver the merchandise ordered by you only at such locations as per the Order Confirmation Form. SPCPL shall not be liable to deliver any merchandize or Services purchased by Users for delivery in locations outside India. Unless otherwise requested in written and accepted by SPCPL in written. The Services are not available to minors under the age of eighteen (18); or to any Users suspended or removed from the SPCPL system by SPCPL for any reason whatsoever. If you are below the age of eighteen (18) years, you may avail the Services provided by SPCPL through Your legal guardian in accordance with the applicable laws. SPCPL reserves the right to refuse access or to provide our services offered at the Website to new Users or to terminate access granted to existing Users at any time without furnishing any reasons for doing so. You shall not have more than one active Account on the Website. Also, you should not sell, trade, or otherwise transfer Your Account to another party for any purposes. To purchase or to initiate a conversation or avail any services offered on SPCPL website you will need to register your Name on the website. To do so you will be required to provide certain User information and created an account (“Account”) through SPCPL ID and password or other log-in ID and password, which can include a registered Facebook, Gmail (collectively, the “Account Information”). You will be responsible for maintaining the confidentiality of the Account Information, and are fully responsible for all activities that occur under Your Account. You agree to (a) immediately notify SPCPL of any unauthorized use of Your Account Information or any other breach of security, and (b) ensure that You logOut from Your Account at the end of each session. SPCPL cannot and will not be liable for any loss or damage arising from your failure to comply with this Section. You may be held liable for losses incurred by SPCPL or any other user of or visitor to the Website due to authorized or unauthorized use of Your Account as a result of your failure in keeping Your Account Information secure and confidential. Unregistered Users may also access the SPCPL website for free. 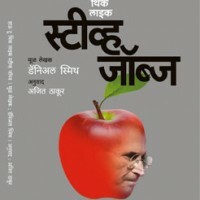 Registration will done by SPCPL with all real information with acceptance of all terms and conditions by User. You shall ensure that the Account Information provided by you in the Website’s registration form is complete, accurate and up-to-date. Use of another user’s Account Information for availing the Services is prohibited. You provide any information that is untrue, inaccurate, not current or incomplete (or becomes untrue, inaccurate, not current or incomplete), or SPCPL has reasonable grounds to suspect that any information provided is untrue, inaccurate, not current or incomplete, SPCPL has the right to suspend or terminate Your Account and refuse any and all current or future use of the Website. You agree that you will not use, copy, reproduce or information about the products, categories, author, reviews, or related information posted on SPCPL website without prior approval from SPCPL. You will not employ robots, software programs, or human capabilities to perform above activities to harm the website in anyway and misuse the information posted on it. You shall not ever trace or use algorithm or by any means trace other user information through our website. Also, you agree not to upload if allowed to any virus, abusive matter, or harmful software to network, website, computers, User accounts. Post or write comments to harm rights of others, Defame, harass, or organize any illegal or banned activity. You agree not to post any promotional matter, ads or information on products which are not offered by us or are not approved by us to do so. By using this website and having an user account you agree to follow all the cyber laws applicable within India and elsewhere as applicable related to or on our website. You user account is subject to all the terms and Conditions we have listed on SPCPL website. If any of the terms and conditions are found violated by you at any point in time, you account may be terminated immediately without prior notice. You may contact us via Contact Us options listed on our website for any queries regarding this, we may or may NOT respond to your questions, we do not promise to or are not liable to respond or answer your queries on this regards. You may choose to terminate your account on SPCPL website with or without providing any reason to do so at any time. If you choose to do so your information will be deleted from our system and shall not be made available to you in future. You may have to register again to avail the services offered on this website. Your account may also be terminated if requested to do so by any lawful authorities, government agencies, due to technical issues faced by us, storage issues, request raised by you. In any case it is up to SPCPL to decide whether to notify you or proceed without notification. You are free to contact us and provide us feedback on the services offered by us on this website, also you may be appreciated for suggestions on improving our products and services offered through this website or outside of it. You may do so by visiting Contact Us section of this website and following and choosing options listed there. All the posts or any information posted by you may also be deleted from the website. Any information posted by you on this website is subject to our terms and conditions, if found not suitable or does not fulfill any of the terms or conditions, it may be removed or may be filtered without any notifications. You are responsible for any comments, reviews, actions taken by you on this website. We work hard to provide You with the best prices possible on products and services, by opting efficient way to manufacture & print books and sell books You buy or avail of from the Website. The pricing details for purchase of products and services from the Website are detailed under each Book listed on our website. 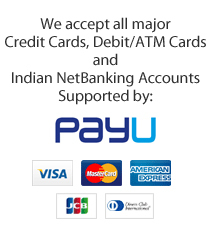 You agree to use PayU for making the payments for the books or products we offer through our website. Provide correct and accurate credit/ debit card details to the approved payment gateway for availing Services on the Website. You shall not use the credit/ debit card which is not lawfully owned by You, i.e. in any transaction, You must use Your own credit/ debit card. The information provided by You will not be utilized or shared with any third party. Your information may be shared with authorities in relation to fraud verifications or by law, regulation or court order. You will be solely responsible for the security and confidentiality of Your credit/ debit card details. SPCPL disclaims all liabilities that may arise as a consequence of any unauthorized use of Your credit/ debit card. 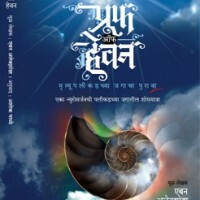 The website www.saraswatibooks.com, contains the trademark “Saraswati Publishing Company PVT. Ltd.”, other trademarks, logos used, pictures, creative art, service marks collectively known or defined as Marks or intellectual property of Sarswati Publishing company Private limited or their Vendors or our partners. By lawfully acquiring the copy rights to print and sell the products, we are using these Marks, shared intellectual property of our vendors, and partners, to perform promotional activities on SPCPL website. You are not permitted to use any of these items without proper approval from SPCPL. You will be required to take permission from the owners to use the Marks or intellectual property owned by our Vendors or Partners till then it will be prohibited to use any such item. If you feel that you are owner of copyright in any information made available on SPCPL website and is broadcasted without your permission or approval/consent, in this case please Contact as via the means listed on the Contact Us section of this website. Please provide all the details to make sure we can contact you, also provide us the reason, details to support your claim, section or location of your copyright information on our website. After careful consideration and internal discussion we will respond to you or initiate a conversation with you to resolve the matter. We in any circumstances do not wish to post or use any copy righted information or property for which we have not obtained legal rights. Any reviews posted by SPCPL on our website are Free readers opinion offered on our website or other places, if you have objection to any of these reviews feel free to contact us and we shall look into the matter. 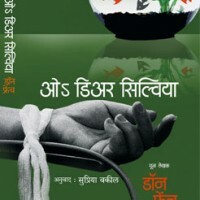 We do not take ownership of any of the reviews posted on www.saraswatibooks.com.